This page features a collection of common Wicca Symbols. Wicca is a Neopagan, nature-based religion more commonly known as Witchcraft. In spite of thousands of years of persecution by other religions, Witchcraft remains a popular spiritual path for millions of adherents worldwide. Eye of Horus (sometimes worn to deter evil spirits). The practice of the religion called Wicca began in England during the early part of the 20th century, and was based on ancient teachings. 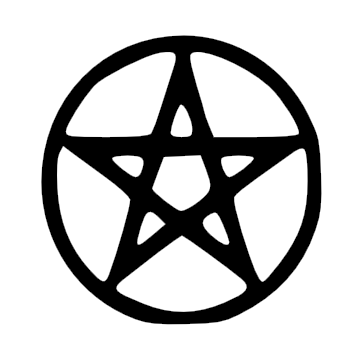 Scroll down to see more Wicca symbols. To print these, just right click on any image and select a SAVE option from your drop-down menu. This will send the image to your picture file for future use. 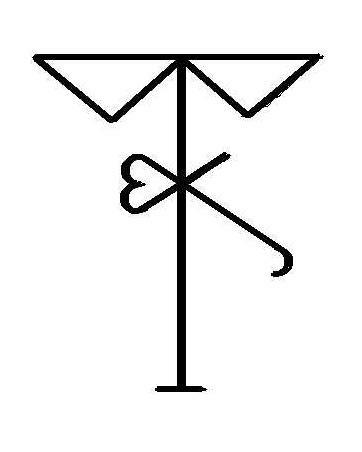 After you save an image to your picture file, alter it in any way you choose to create your own original Wicca Symbols. Then run your designs over to your favorite local tattoo artist. Better yet, buy a batch of temporary tattoo paper from an office supply store. See this page for a collection of free, printable Chinese Zodiac Tattoos. 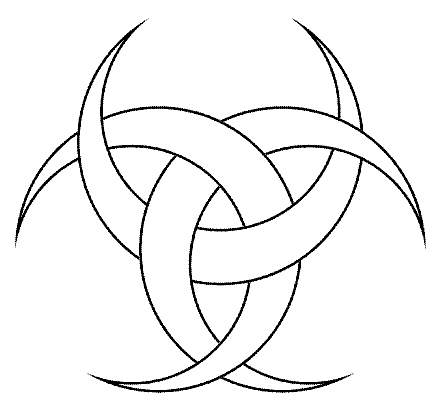 Hit this link for Wicca Symbols and other Unique Tattoo Art Designs. Look here for a selection of Aztec Symbols and Tribal Art. Visit this page to see an assortment of free printable Native American Symbols and Tribal Flags. Scan this page for a free printable collection of Astrology Symbols. 7. We see religion, magick and wisdom in living as being united in the way one views the world and lives within it – a world view and philosophy of life which we identify as Witchcraft – the Wiccan Way. 10.Our only animosity towards Christianity, or towards any other religion or philosophy of life, is to the extent that its institutions have claimed to be ‘the only way’ and have sought to deny freedom to others and to suppress other ways of religious practice and belief. 12.We do not accept the concept of absolute evil, nor do we worship any entity known as ‘Satan’ or ‘the Devil’ as defined by Christian tradition. We do not seek power through the suffering of others, nor accept that personal benefit can be derived only by denial to another. 13.We believe that we should seek within Nature that which is contributory to our health and well-being.